Eastern Oxford Street and New Oxford Street will be closed eastbound for summer 2014. 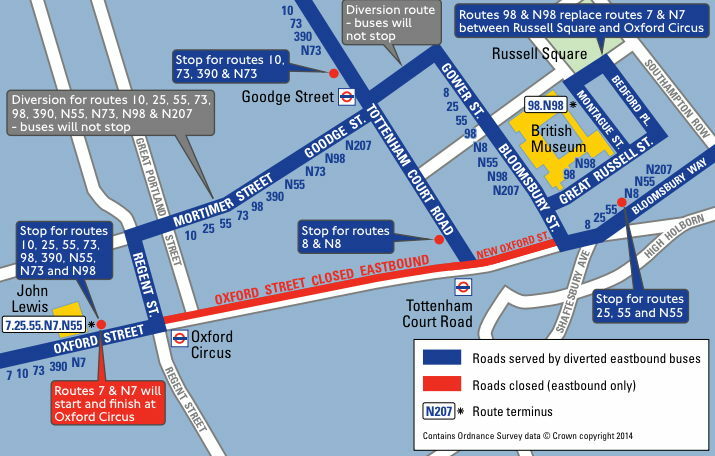 Streets in Fitzrovia will carry bus diversions from next week until the end of the summer say TfL due to the closure of Oxford Street and New Oxford Street for eastbound traffic between Oxford Circus and Bloomsbury Street. The diversions will be along Mortimer Street, Goodge Street and Chenies Street. The diversions includes both daytime and night-time bus routes. Buses on the diversion route will not stop to pick up or set down passengers. There will be concerns about public safety particularly along Goodge Street between Newman Street and Charlotte Street where customers standing outside pubs have frequently been blocking the pavement. 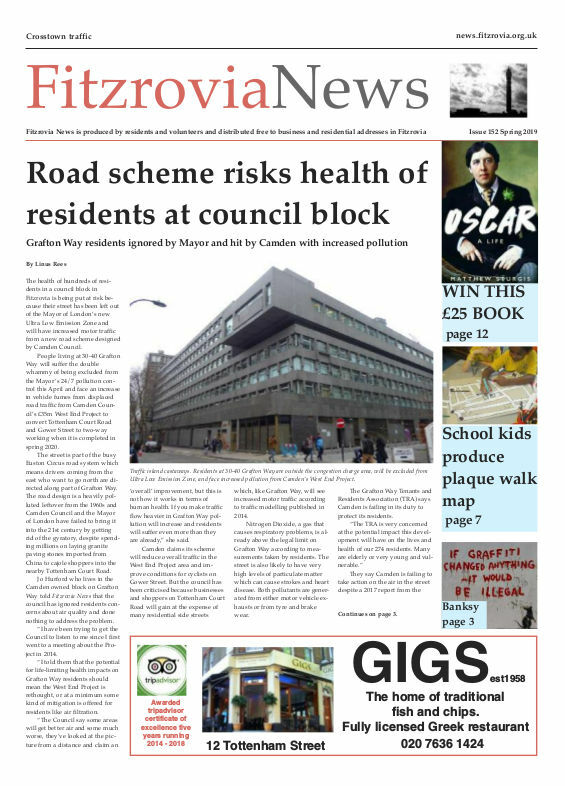 The Fitzrovia Neighbourhood Association has asked Camden Council to address use of the pavement by customers of licensed premises along Goodge Street. The bus diversions along this busy eastbound route will add to the current concerns.